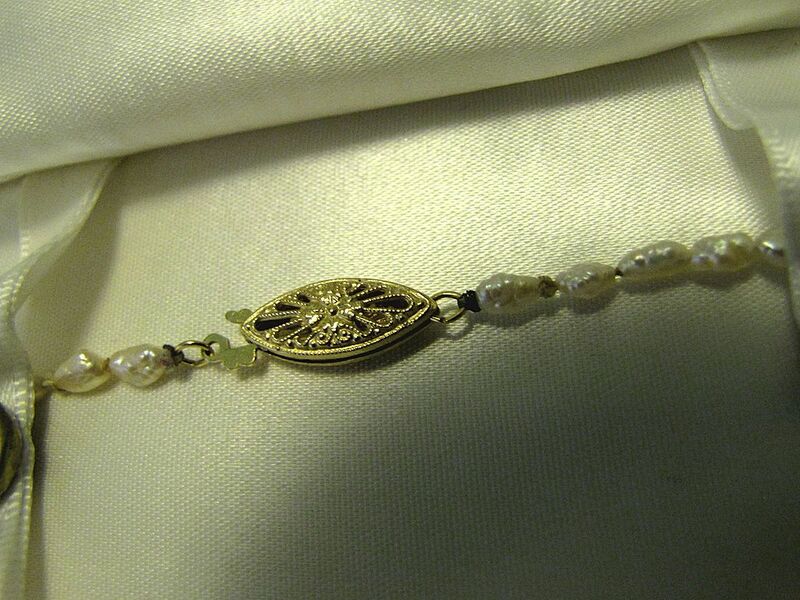 This is a vintage, beautiful, fresh water pearl necklace with a double-sided, 14K gold filigree clasp. 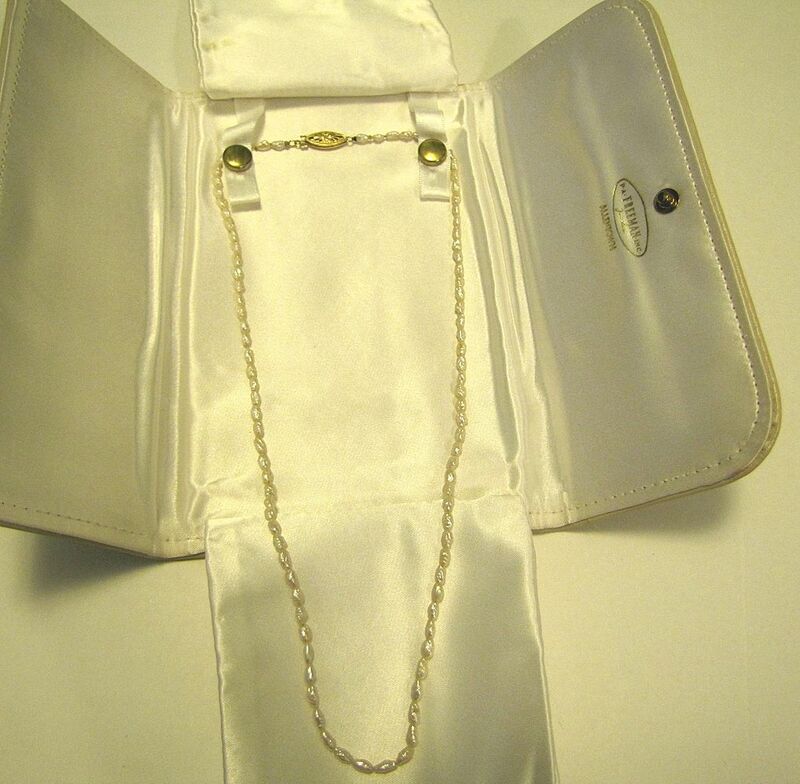 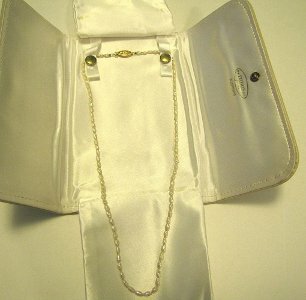 The necklace measures 20'' in length and is in very good condition. 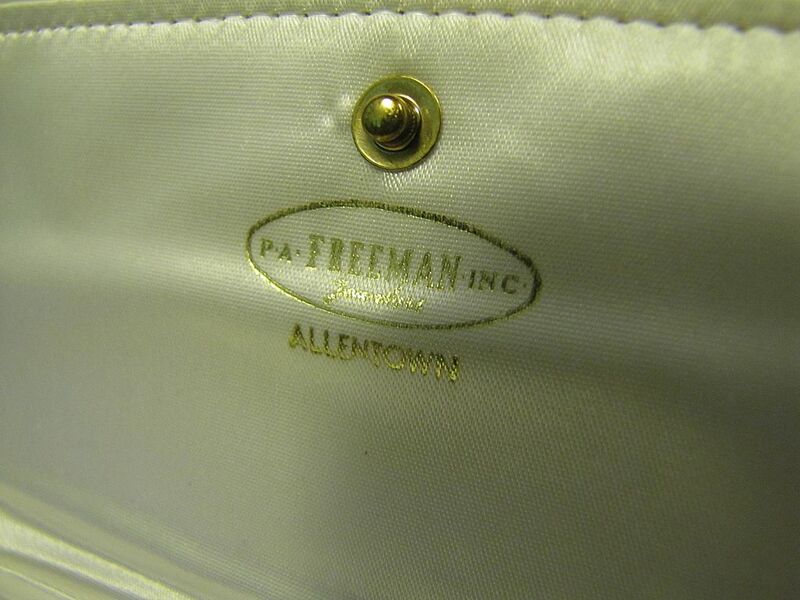 It has the original leather protective case which is lined with satin and marked inside P A Freeman Inc Jewelers Allentown.